A very close to the beach plot of land (7500 sq.m) with great views is for sale in Panormo area. ID: 281 A very close to the beach plot of land (7500 sq.m) with great views is for sale in Panormo area. 7.500m² of land for sale, set in very quiet and beautiful location with plenty of sea and mountain views. 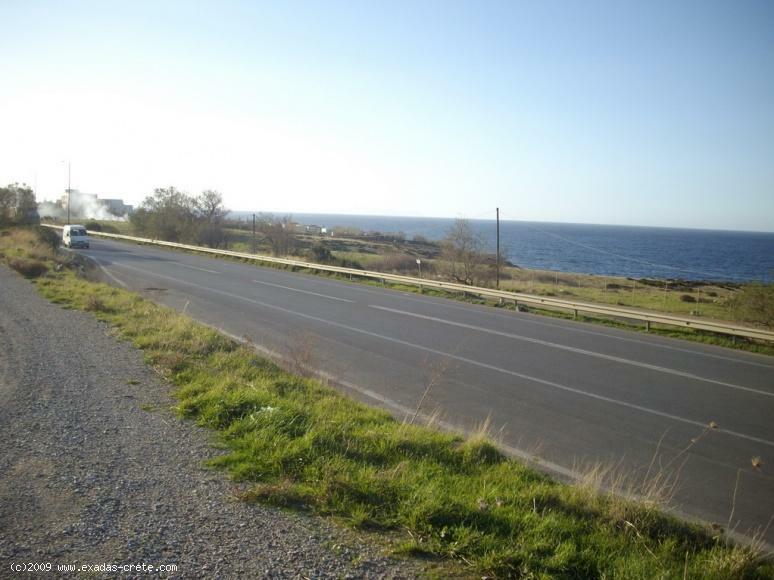 This plot of land for sale is very easily accessed by an asphalt road while ιτ is very close to electricity and phone supplies, also water is already available. The land is slightly sloping and in an approx. distance of 200 mrs to the beach and another 500 meters to village centre of Panormo where can be found many shops and servises. The area where the plot is situated is very popular with 3 of the most luxury hotels in Crete. It is 15 km east of the city of Rethymno, This proximity to the city gives easy access to all public services (post office, police station, hospital and the harbour, etc). The plot can be currently built up to 200 sq.m but these building rights may be more for commercial development.